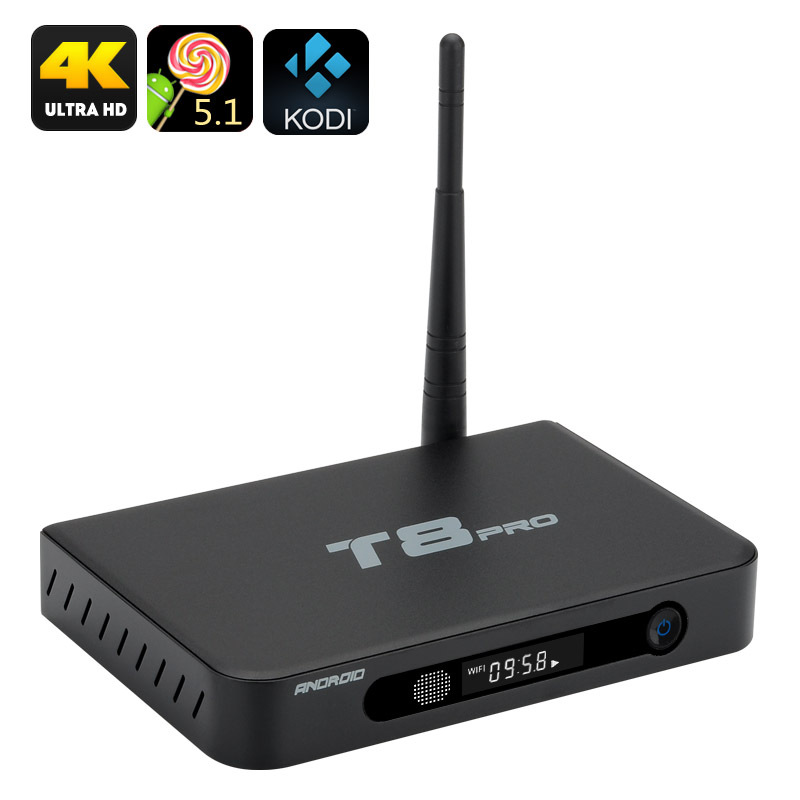 Successfully Added T8 Pro Android TV Box - Amlogic S812 Quad Core CPU, Android 5.1, Kodi, 4K, H.265, 2GB RAM, Airplay, DLNA, Miracast (Black) to your Shopping Cart. Watch your favourite movies and shows in 4K with all the benefits of the latest Android operating system. The T8 Pro Android TV Box can make your TV better, smarter and more entertaining in no time. The T8 Pro Android TV box is a great gadget to spice up your big screen. First, you will have the latest Android 5.1 operating system – and that grants you unlimited access to all the best games and apps from the Play Store. You will have 8GB of internal memory to stock up on all your favourite media and up to 32GB of external memory support. The T8 Pro Android TV Box supports 4Kx2K resolution and will allow you to watch all your content in amazing quality. What’s more, you will also be able to benefit from the support of Kodi (or XBMC) player – with access to the latest movies and shows. The TV box comes with AML8726-S812 Quad Core CPU and Mali-450 8-Core GPU and is perfect for gaming and enjoying great graphics. With DLNA, Airplay and Miracast support, you will have lots of pairing options and your TV set is sure to become a real entertainment centre. The T8 Pro Android TV Box comes with a 12 months warranty. Brought to you by the leader in electronic devices as well as wholesale Android TV boxes..